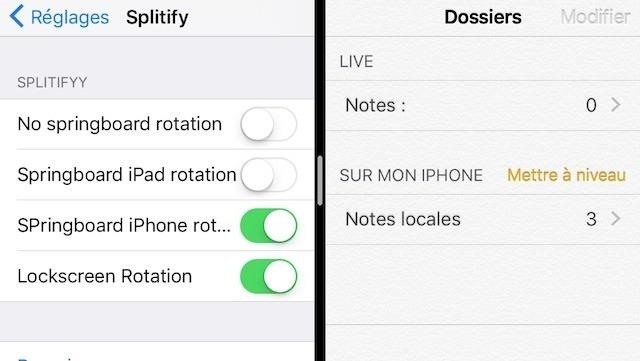 Luckily, until Apple actually adds Split View support for iPhones (don't get your hopes up), there are a few workarounds for performing two different tasks side by side on your iPhone — with or without jailbreaking. First, we'll go over some popular apps in the iOS App Store available to everyone, then we'll get into the ones for jailbroken iPhones, which work better overall than their App Store counterparts. If you don't want to do any special hackery on your iPhone, and just want to use apps made for the iOS App Store, your choices are limited. While there are quite a few apps throughout the store made for split-screen use, most were made before the iPhone 5 and haven't been updated since 2010. If you happen to be using an older iPhone, apps like iBrowse Duo, iNetDual Lite, and Mini Browser Pro will be optimized for your screen. 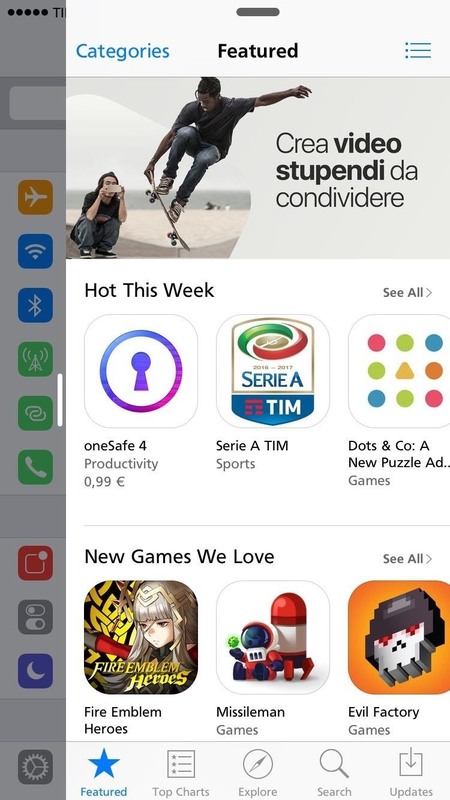 Unfortunately, anyone with an iPhone 5 or later will notice black bars at the top and bottom of these apps—and they'll look even worse on Plus size screens. These apps are also 32-bit apps that haven't been updated to support the 64-bit architecture on iPhone 5s and newer models. Apple plans on dropping support for 32-bit apps when iOS 11 comes out, so these apps won't do you much good unless you have an iPhone 5 or lower, which will not even be getting an iOS 11 update. 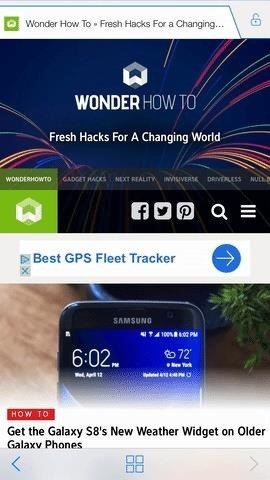 So if you have a newer iPhone that will be getting iOS 11, there are three decent solutions you can pick up today, all of which are basically web browsers that give you two browsing windows. Not quite the Split View mode you were looking for, but good enough to help you multitask efficiently when you need it. 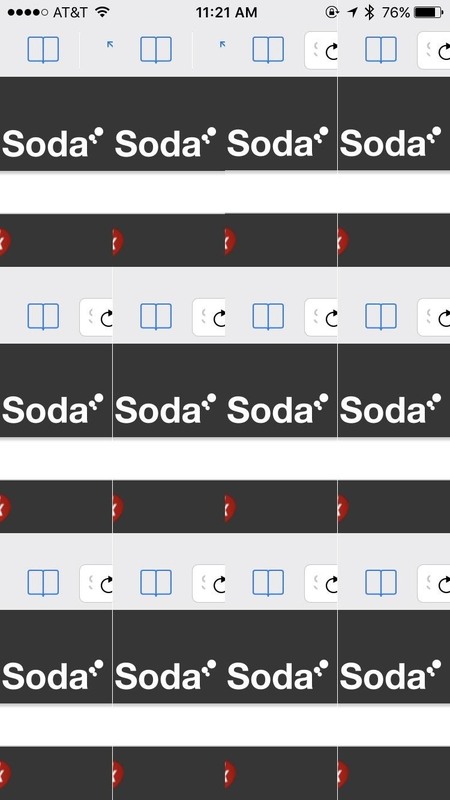 CoSurf is a free split-screen web browser (for iOS 8.2 and higher) that's a little different than the other ones on this list since it's designed to be used by two users, not just one. With the iPhone flat on the table, two people can use it to browse the internet — across from each other — without intruding each other's space. It's an incredibly simple app (you can't do much more than surf and save your history), but it's remarkably intuitive. The app is quick, even with two people using it at once. If you pick the phone up, the app switches to single use, turning into a full-screen browsing experience. 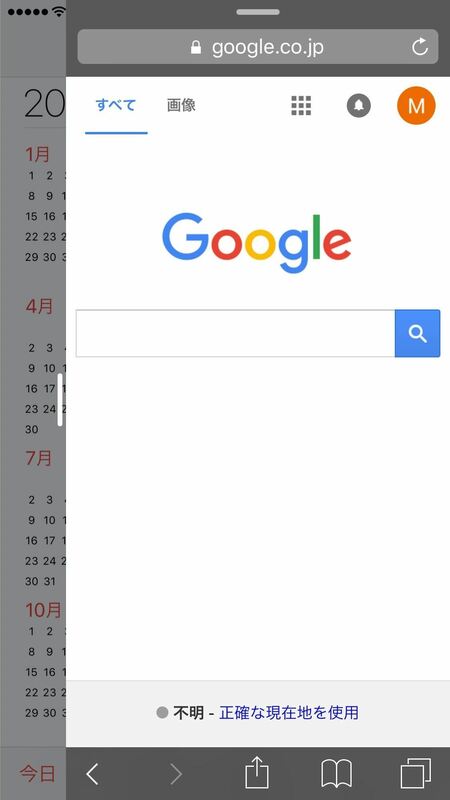 Put the phone back on the table, and it switches to split-screen mode. Unfortunately, the app has some limitations; The user on the bottom half of the phone has more responsibility. 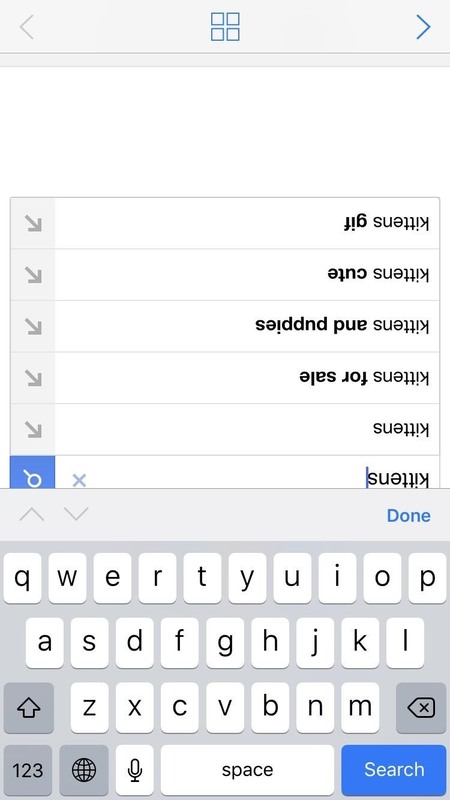 Whenever one of the users needs to type, the keyboard only shows up on the bottom half of the phone, as it normally would, meaning the user on the bottom half has to do all the typing. It's not quite as confusing as this looks. This, presumably, would cause the bottom half user to become very annoyed that he or she has to type everything. That, or they might elect to not type anything the top-half user wants, so choose your CoSurf partners wisely. CoSurf has an interesting take on Split View mode, but it isn't for people looking to get serious work done. 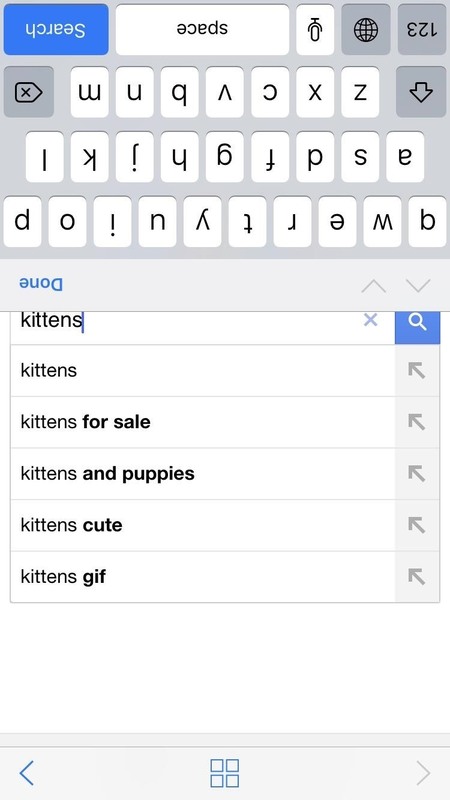 It's a fun, unique app that allows two people to use an iPhone at once and — for the most part — it works. 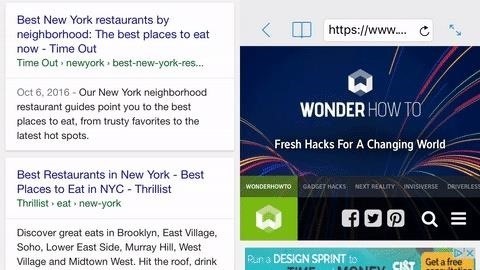 While not the catchiest title, it definitely lets you know what to expect — Split Screen Multitasking View (for iOS 8.1 or higher) is another web browser that lets you split it into two panes. At $4.99, it's not the cheapest app on the App Store, but it performs very well in both portrait and landscape mode, and it lets you adjust the size of the panes via the middle bar. This split-screen app also offers plugins which give the experience more customization and depth. 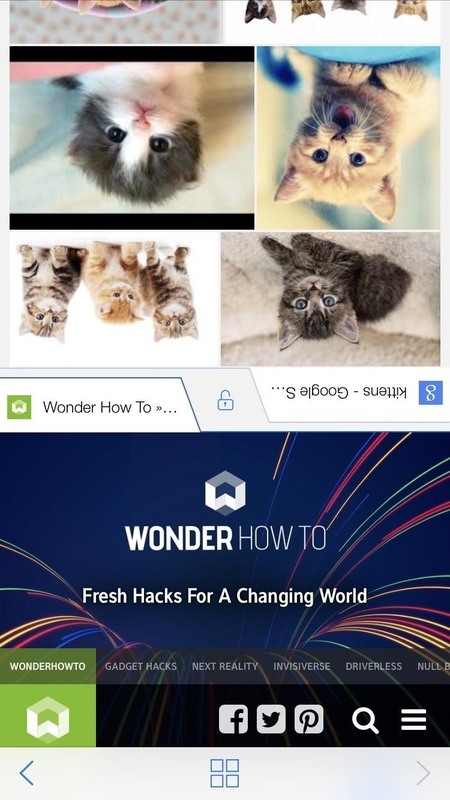 For example, one plugin is designed to combine your social media apps into one of the two windows, allowing you to swipe through those apps while another browser window remains open on the top of the display. Some of the extra features aren't quite as intuitive as just using basic split-screen mode, so it takes some playing around with, but this app definitely has a lot of options to choose from. There are also a lot of the standard web browsing features included as options, like private browsing, parental controls, and more. The biggest issues with this app for me are not being able to pinch-to-zoom, and that the settings bar can sometimes stick around when you don't want it to. 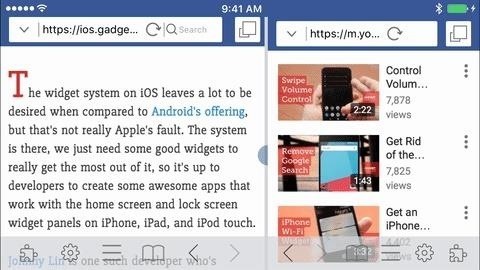 Still, these issues can be overlooked depending on how you're using your iPhone for split-screen multitasking. 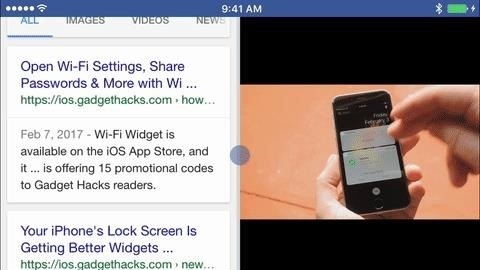 Just like the previous app, Split (for iOS 6 or higher) is a web browser that lets you split your browsing experience into two screens. 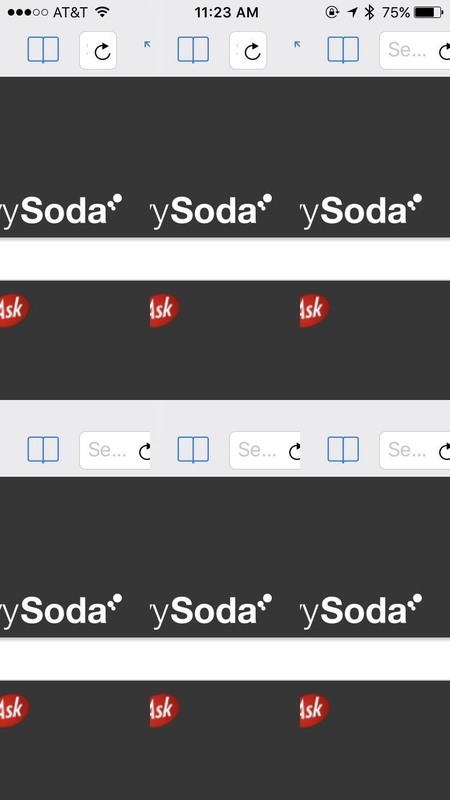 While it doesn't have all of the bells and whistles that Split Screen Multitasking View has, it does have one obvious advantage — you can have more than just two panes. The app also can be used in landscape mode, which works well, if not better than portrait mode. It just feels easier browsing two webpages simultaneously when they are side by side like this, and Split handles the job smoothly. On the surface, Split appears to be lacking many features you'd normally want in a browser. 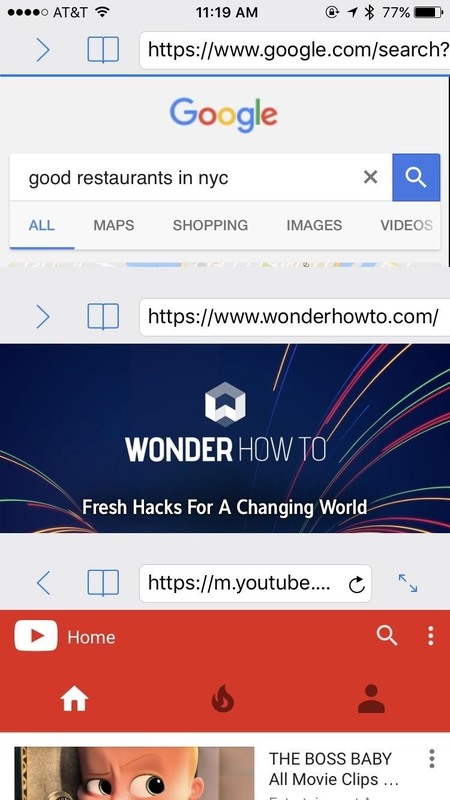 For example, you can't check your history (however you can make bookmarks). If you dive into the settings app, however, Split does offer a fair amount of customization. You can turn on private browsing, although there isn't a way to see your history in the first place. You can remove the loading bar when opening a webpage, and you can prioritize full-screen mode and desktop websites. Without a doubt, the most notable change you can make is in the number of windows you can have open at once. Not two, not four, but twelve pages can be open simultaneously through Split. 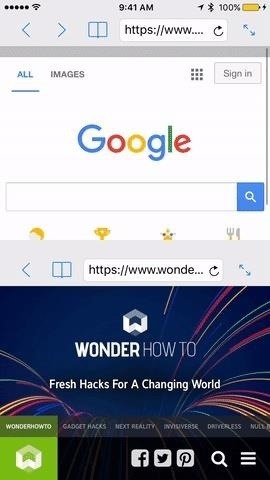 It's completely functionless, and you will not be able to browse in this mode, but you can do it just to say you did it. Six windows vs. 12 windows. This customization means you can change the way you have your windows oriented. If you prefer one row with two columns, which gives you a taller but narrower view than the default two rows and one column, you can set that. The customization is pretty open, something not seen too much on iOS apps. If you're someone who doesn't mind getting their hands a little dirty, there are some interesting options for Split View in Cydia, the jailbreak version of the iOS App Store. The only problem is that they're basically all the same, so figuring out which one is right for you comes down to trying each one out. 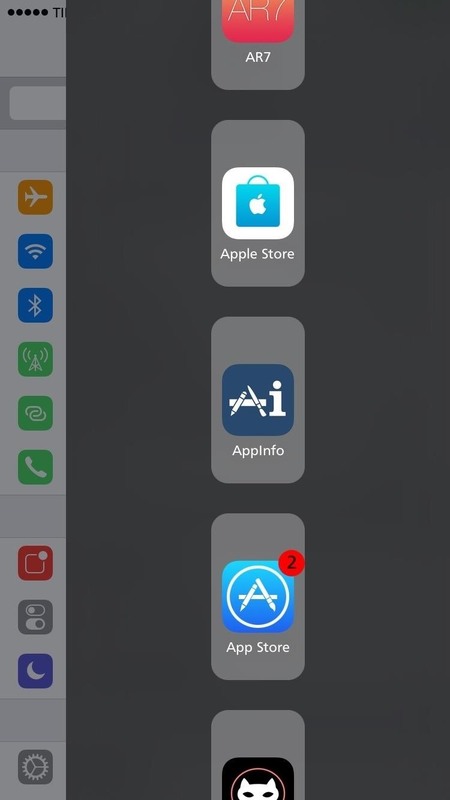 All three apps featured here are built on the same ideas Apple used for the iPad's split-screen operations with, right down to the UI and execution; A couple of them mimic "Slide Over," where you swipe from the right to bring up a window with all of your apps, allowing you to choose one to see alongside whichever app you are currently using while the other app is grayed out slightly. The other one mimics Split View, where you can run apps side by side without obstruction. You can run any two apps you'd like side by side, and you can adjust the size of the second window, depending on your preference. They all give you the option to use the phone in landscape mode, which is arguably the best way to split the screen on an iPhone. All three apps can be downloaded for free. Gorgone is compatible with iOS 9 and iOS 10, and mimics the iPad's Slide Over feature. The tweak was last updated March 12, so it should be relatively up to date. Splitify is not as up to date as Gorgone is, with its newest version released February 1. That being said, it isn't wildly outdated by any means and should work just fine on iOS 9 and iOS 10. You can download MultiView from the repo.sparkservers.co.uk repository. With an update released on April 10, MultiView is the most up-to-date app out of the three here. Whenever we find new options for split-screen use on an iPhone, we'll update this guide accordingly. Which app did you end up using? What did you like — or didn't like — about it? Let us know in the comments below. Steven... These are not first party apple solutions, they are third party created apps by other developers. Also, a lot of these (multiflow comes to mind) have been around before android added the ability in the latest firmware. 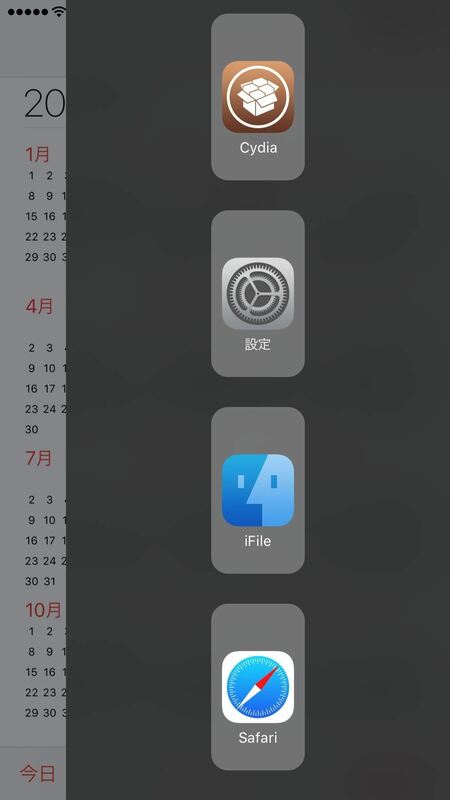 It is also a jailbreak (cydia) app so it's not exactly supported by apple at all.